Imagine having unlimited embroidery possibilities. Premier embroidery software will inspire you to create exquisite, custom embroideries. Advanced features give you more precision, more capabilities and more control. Let your creativity take flight. The PREMIER+Embroidery System offers you a new level of creativity and ease of use so you can design truly individual projects. Class is for all levels of PREMIER+ and Premier 2 software. Class Starts 10am Sharp. Please arrive by 9:30 for setup. SUPPLIES you need for this class: Computer, Mouse, Mouse Pad, Software loaded on computer. Starting in 2019, This class will become Premier Software+ Modify Module with Connie and will accompany Windows and MAC Operating Systems. 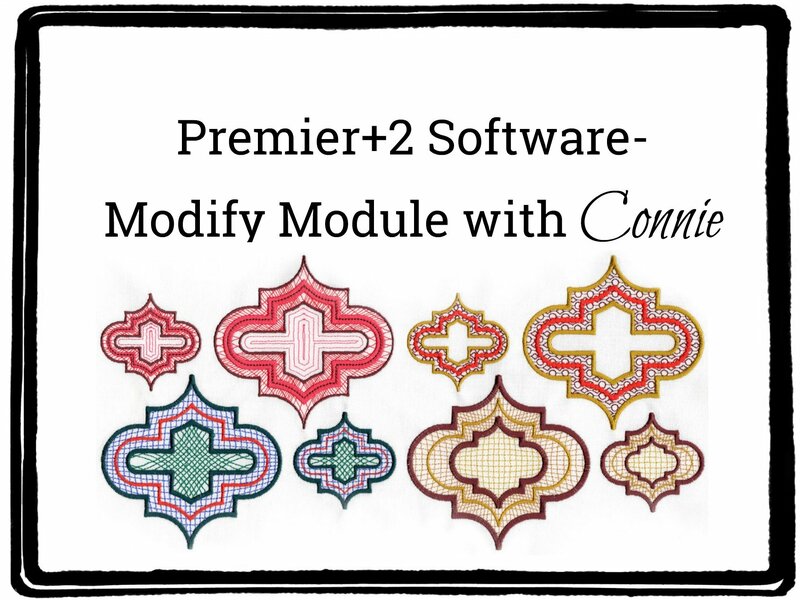 Premier+2 Embroidery Modify Module: We will dedicate this year learning to reshape, restyle, convert portions of an embroidery, change fills, add cutwork needle lines and so much more. Premier+2 Modify makes it easy to improve your embroideries with ease. 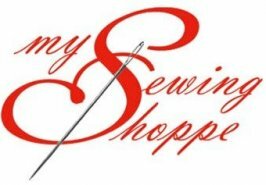 ALL EMBROIDERY MACHINES BRANDS ARE WELCOME! Premier+ Ultra software also supports Digital cutters using .SVG and .DXF file formats.